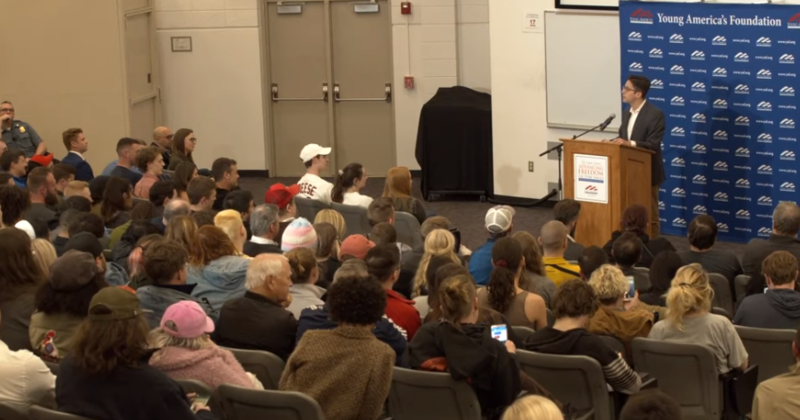 Daily Wire columnist Michael Knowles was attacked Thursday evening while giving a speech titled “Men are Not Women” at an event hosted by Young Americans for Freedom. The protestor was tackled and tased by police prior to being arrested. Others were maced, according to those in attendance. After the incident, Knowles tweeted that someone in attendance tried to throw bleach on him. After speaking with police, Knowles tweeted that it was instead an odorous substance designed to smell like bleach. Knowles speech can be seen here.